Members of the tea party have been called tea baggers, extremists, racists, and Nazis by opponents of the grass-roots pro-liberty movement. While this shows the lack of “civility” of the left, supporters of liberty are always attacked for their beliefs. Socrates spent his life fighting for freedom of speech and freedom of religion and became a martyr for these causes. In 399 BC, Socrates was charged and put to death for disbelieving in the official Greek pantheon and for corrupting the youth of Athens. But Socrates had also angered most of Athens for praising Sparta while the two were at war with each other, insulting the intellectuals of Athens by claiming he was the wisest man alive, criticizing the leaders of Athens, and arguing against democracy. Admitting that he enjoyed stirring up trouble, Socrates said at his trial: “For if you put me to death, you will not easily find another, who, to use a rather absurd figure, attaches himself to the city as a gadfly to a horse, which, though large and well bred, is sluggish on account of his size and needs to be aroused by stinging. I think the god fastened me upon the city in some such capacity, and I go about arousing.” [Plato, Apology 30e.] Socrates’ criticism of ancient Athens’ political system and leadership got him killed. Demosthenes fought bigger government, higher taxes, and political corruption in ancient Athens. But he is best remembered for his opposition to Philip of Macedon and his son Alexander the Great. For years, Demosthenes spoke constantly against Philip, but had little success gaining allies. Nevertheless, Demosthenes demanded action, arguing it is “better to die a thousand times than pay court to Philip.” [Demosthenes, “Speeches” 9.65.] When Philip finally marched against Greece, his army easily won the battle and occupied Thebes but spared Athens. When Philip was assassinated, Demosthenes again attempted to form alliances and encouraged the territories under Macedonian control to rebel. But Philip’s son Alexander marched on Thebes, which immediately submitted to him. Thebes and Athens rebelled yet again upon mistakenly hearing that Alexander was dead, at which Alexander destroyed Thebes and placed Athens under Macedonian control. When Alexander the Great died, Demosthenes again tried to rally the people for independence, but Antipater, Alexander’s successor in Greece and Macedon, defeated the Athenians in battle, forced them to dissolve their government, and Demosthenes committed suicide before he could be arrested and executed. Cato the Younger was a very stubborn man who vehemently opposed corruption, demagoguery, and immorality. In the Senate, Cato focused especially on taxes and wasteful government spending. When Caesar, Pompey, and Crassus created the First Triumvirate, Cato was an immediate opponent. Cato opposed Caesar’s first major proposal to distribute public lands to the people. “No one spoke against the law except Cato, and him Caesar ordered to be dragged from the rostra to prison.” [Plutarch, Parallel Lives Cato 33.1.] Though the Senate disagreed with Cato’s position, they forced Caesar to free him from his unjust imprisonment. 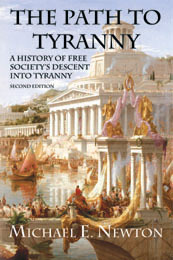 Seeing the growing tyranny, “Cato warned the people that they themselves by their own votes were establishing a tyrant in their citadel.” [Plutarch, Parallel Lives Cato 33.3.] But the people refused to listen to Cato and continued to support Caesar. Ten years later, Caesar and his army crossed the Rubicon, thus declaring war on the Roman Senate. The Senate fled and Caesar chased after them. Seeing that Caesar had won and knowing Caesar would have him executed, Cato committed suicide. When you are attacked for supporting liberty, know that you stand on the shoulders of giants. And let us thank God and country, for we live in a society in which we have freedom of speech and in which the supporters of government tyranny can do no more than insult their opponents. THE “NEW CIVILITY:” A CYNICAL LIE? D.C. Anti-Walmart Protesters March on Developer’s Home with “Target” Flyer. It’s Thursday at 7:30. We directly elect our representatives and, since 1913, we directly elect our Senators. We indirectly choose the political ideology of the Supreme Court. I heard numerous complaints about the Supreme Court and their legislating from the bench, but the Supreme Court must be chosen by the President and approved by the Senate. Thus, the Justices should hold the same values and politics of the people as a whole who elect those who choose them. In my home state of Arizona, our sales tax has risen from 6.7 percent to 9.3 percent in the last 25 years. How can the politicians raise taxes on us time after time thinking we won’t care? But they haven’t; we have. We the people of Arizona, Maricopa County, and Phoenix have voted for new sales taxes to build roads, trains, stadiums, and parks, hire more police and firemen, and support general government operations. If we have anybody to blame for our government, it is us. We elect these people and often re-elect them, even after they have proven to care little for the Constitution or their constiuents. Heck, we often re-elect these guys even after they’ve been proven to be corrupt. We voted for higher taxes to pay for more government program and then complain about high taxes and government intervention. We have nobody to blame but ourselves. Has the Tea Party accomplished anything yet? 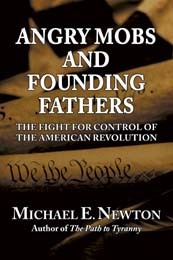 Many people talk about the success of the tea party movement. While we did something remarkable in the 2010 election, we have not really accomplished anything yet. 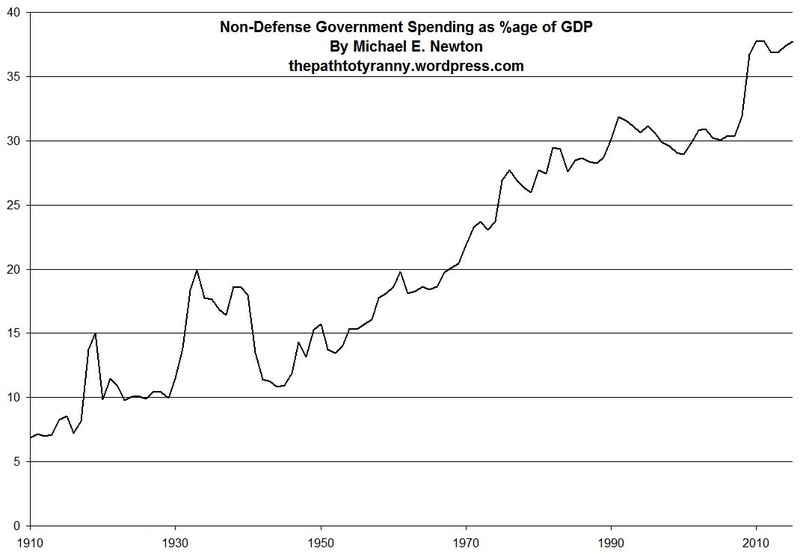 I recall this chart of total government spending excluding defense over the last 100 years. In 1910, government at all levels spent about 7% of GDP. Today it is about 37%. Do you see what the tea party has accomplished so far? NOTHING!!! At best we slowed down the rate of growth or maybe even stopped it. But we have yet to reduce it by a single percentage point after it rose seven percentage points in just two years. Many in the tea party movement claim that Obama is the worst President ever. Yet, the GOP won just 54.2% of the two-party vote, maybe slightly higher if you add in Murkowski’s votes. The Republicans won 240+ seats, but that’s less than the 257 seats the Democrats won in 2008. Against the supposed worst President in history, that’s all the tea party could accomplish? I don’t mean to minimize the biggest electoral shift since 1948… OK, yes I do. These accomplishments are meaningless unless they are used for something bigger. I will not be satisfied until I see the vast majority of Americans voting for republican government (small ‘r’ intentional) and that trend line of government moving down instead of up. When that happens, I’ll talk about our accomplishments. Until then, I’m too busy working for the cause of liberty to brag about winning a few seats in Congress.